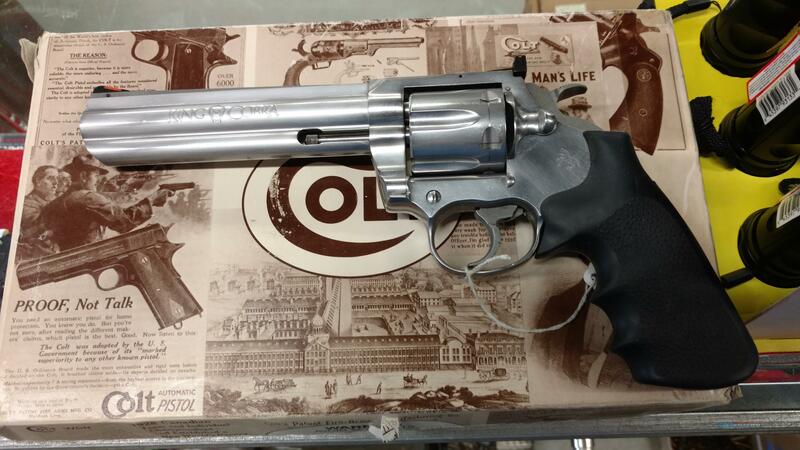 Description: 98-95 % Mint condition Colt King Cobra .357 Mag. 6" bbl SS w/ Hogue Monogrip, adj. sights. Hard case and manual. Will ship to your FFL dealer only. USPS money order only or AX, Disc., MC, or Visa add 3 % to total with shipping. Email me thru Guns America for more pics and please include your email address. Firearms Dealer 30+years in firearms business.